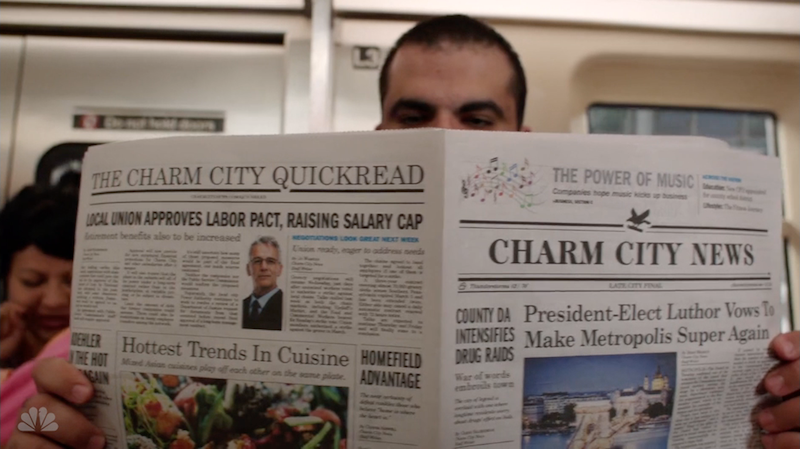 This is from the opening shot of the DC sitcom Powerless, which premiered last night. I’d love to have President Lex Luthor right now. At least he’s smart.